Atlas, located in the heart of Buckhead in the St. Regis Atlanta, is hosting a special Billecart-Salmon Wine-Pairing Dinner, as the next rendition of its popular Winemaker's Dinner Series. On Wednesday, September 12, 2018, guests can spend the evening celebrating Billecart-Salmon’s 200th year as a Champagne House with a reception beginning at 6:30 p.m. and a five-course pairing dinner created by Executive Chef Christopher Grossman. 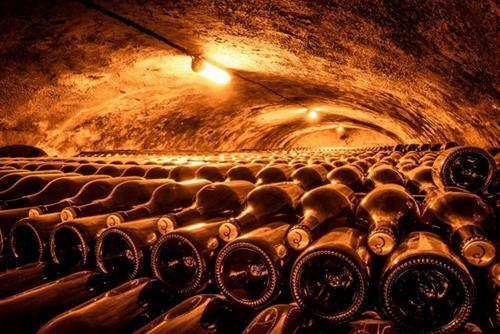 Hosted by Clément Calleja and Geoffrey Loisel of Billecart-Salmon, the dinner will feature a curated tasting of Brut Reserve, Extra Brut, Brut Rose, Sous Bois and 2002 Cuvée Nicolas Francois. The Billecart-Salmon Winemaker Dinner is $295 per person, excluding tax and gratuity. For more information or to make a reservation call 404.600.6471, email Manager Eleanor Parker at eleanorparker@atlasrestaurant.com, or visit atlasrestaurant.com. The Billecart-Salmon Winemaker Dinner is $295 per person, excluding tax and gratuity.